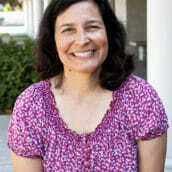 Ms. Susan is a native Californian born to Chilean parents who immigrated in 1964. During her childhood, she had the joy of experiencing many month long vacations in Chile! She graduated from Kennedy High School in La Palma in 1983 and went on to UCI where she received her Bachelor’s in Biology. Wanting to further her education in the area of Genetics, she attended UC Davis for two years. After that time, Ms. Susan received her teaching certificate from UCI and began teaching high school science in Santa Ana for six years. Upon the birth of her second daughter, Ms. Susan decided to take a hiatus from teaching and become a full-time homemaker for five years. During that time, her son was born! Since then, she has been a Science Enrichment instructor at Brea Country Hills Elementary where she has really enjoyed working with students and sharing her passion of Science! In addition to teaching, Ms. Susan has been a scout leader for her daughter’s troop for 11 years. These young ladies just graduated in June so the troop looks fondly at all the wonderful memories and experiences together!!! Now, Ms. Susan is looking forward to volunteering in a few of the activities that her other children enjoy! Besides volunteering, Ms. Susan enjoys hiking, reading, jogging, camping, and traveling! Because her father worked in the airlines during her childhood, she was able to travel to Chile, Columbia, Brazil, Uruguay, Argentina, England, Spain, France, and Germany! Her children had the wonderful experience of traveling to Chile to meet their many relatives a few years back! Ms. Susan enjoys the excitement and knowledge of Science! The way that it helps us begin to look at the world and understand the world around us! She is married to a Chemist who has worked in the aerospace industry for over 25 years — enjoying many years on the shuttle program! So science is a large part of their home life! Even their daughter, heading off to college, is pursuing the field of Environmental Studies!